Our Baha Boat is the queen of the fleet. 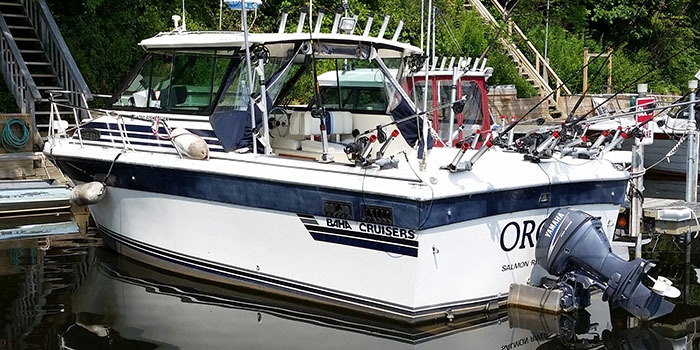 The experienced at Orca Charters uses her to navigate Lake Ontario and put fisherman on the fish. Comfortable, clean and well equipped, several of our clients comment on their positive experience aboard and return year after year to fish with us. Contact us today to book your trip and enjoy Lake Ontario Fishing at it's best! Ready to Book? Contact us to schedule your Lake Ontario fishing date today!